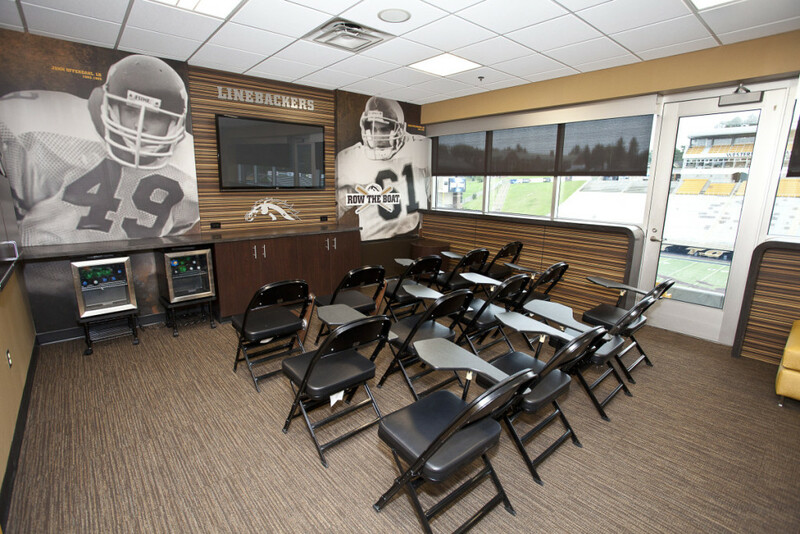 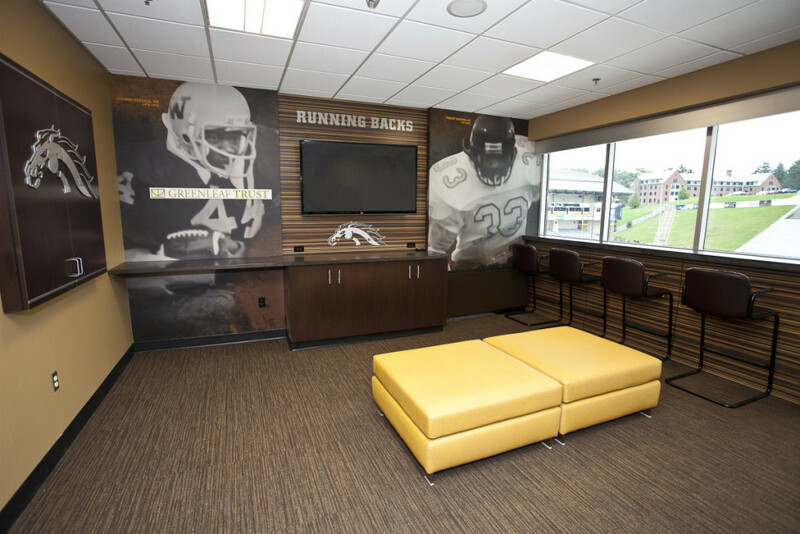 Bill Brown Stadium Elite Suites Renovation - Byce & Associates, Inc.
Design Program: The design team provided interior design services for the Interiors Renovations Project at the Bill Brown Football Alumni Center at Waldo Stadium in Kalamazoo Michigan. 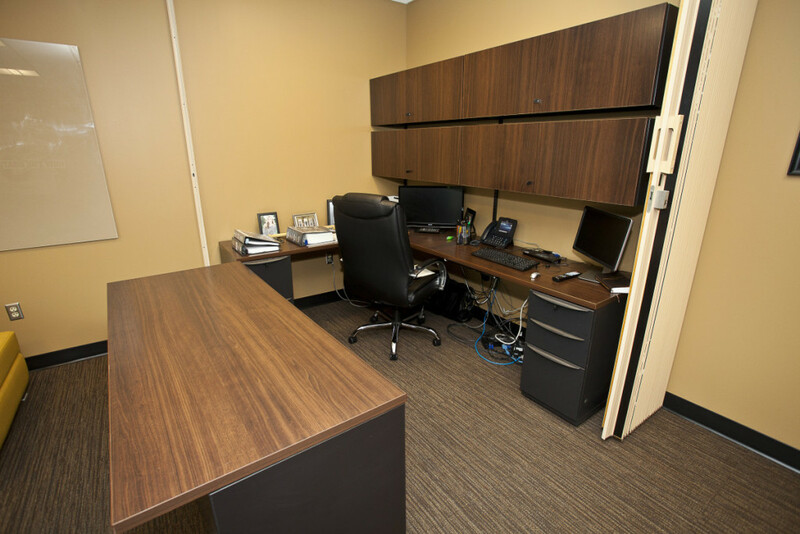 This renovation project included new design concepts for nine existing large offices/suites and three small offices/suites. 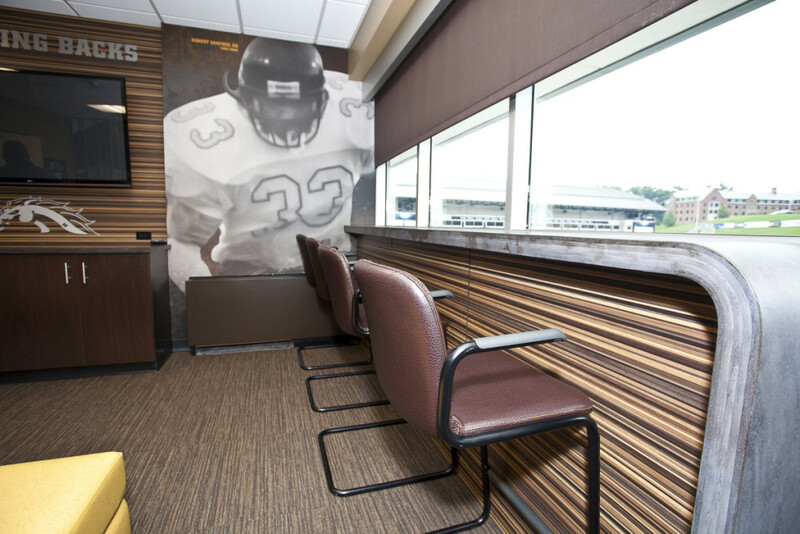 In seeking to incorporate Coach Fleck’s vision of an Elite work space for coaches and players as well as an Elite game day aesthetic, we created a highly detailed design concept for transforming the suites from their current utilitarian, classroom/office styling into a warm and sophisticated yet, spirited experience for its football patrons. 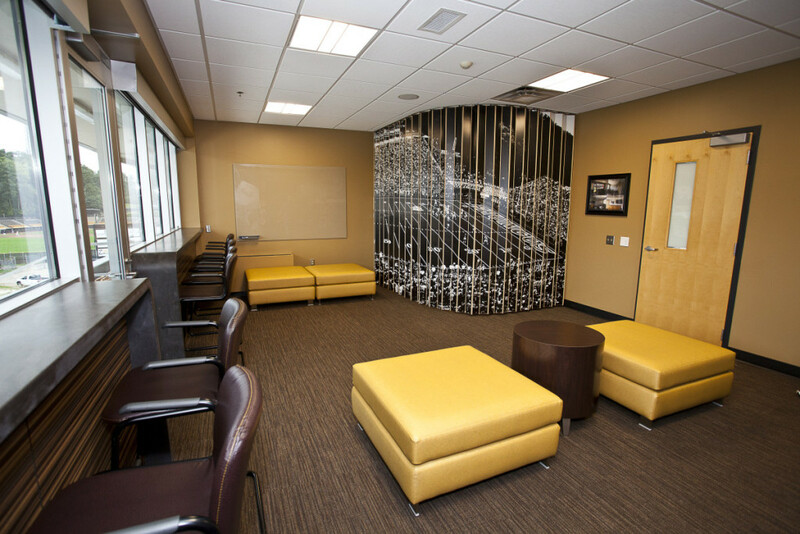 Colors, finishes and furnishings were designed to cohesively flow from adjacent corridor and lobby spaces but create a sense of uniqueness all its own. 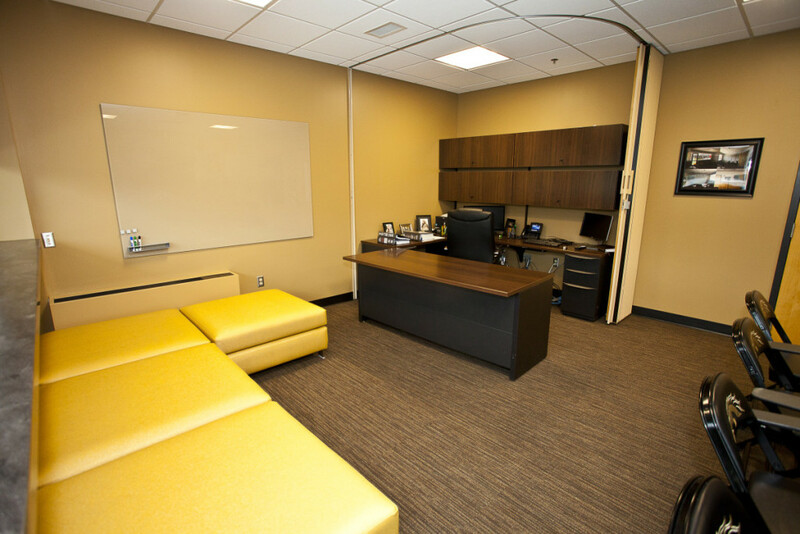 Designed to be completely multi-functional, they comfortably operate as high end looking staff offices and player development spaces during the work week. 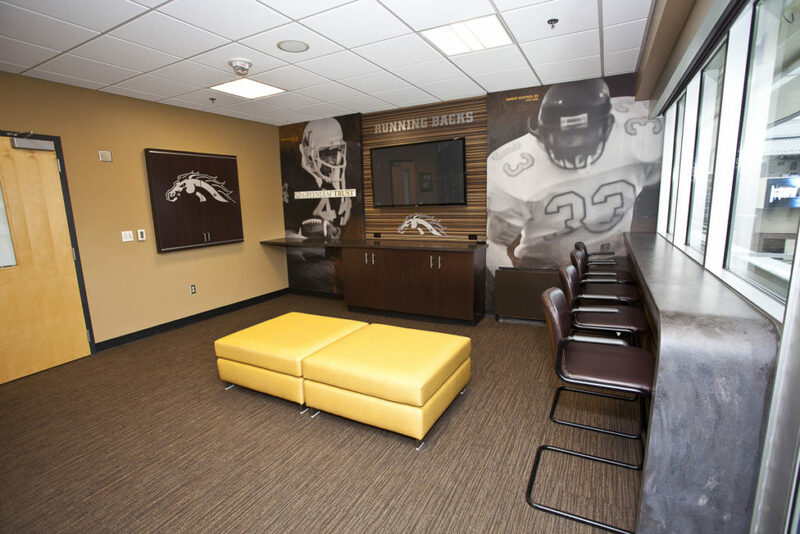 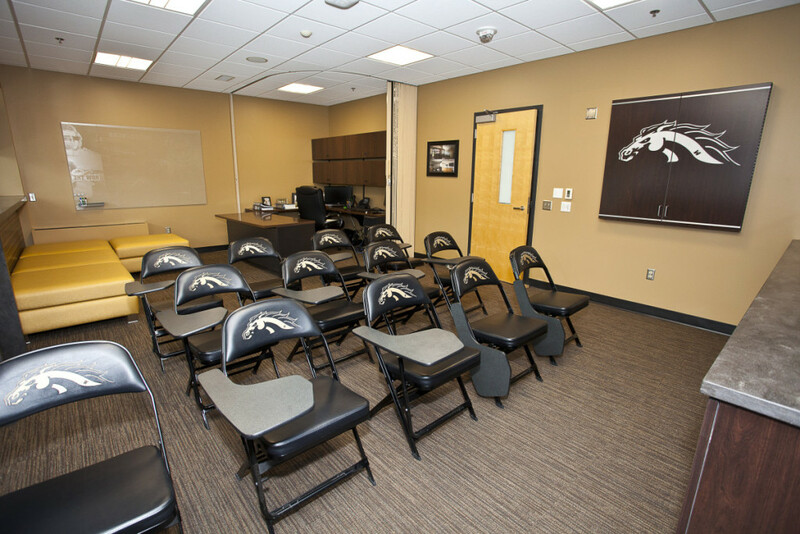 However, with a quick furnishing change and a pull of the impressive WMU pictorial partition (which conceals all signs of an office/classroom environment) on the weekend, patrons can easily gather, socialize and cheer our Broncos on to a victory within its energizing and elite, club-like surroundings.